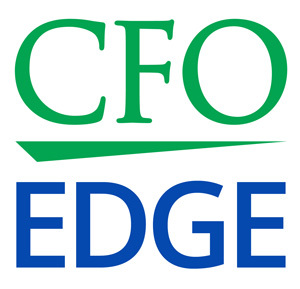 Home > Blog > CFO Services > CFO Services FAQs > When Might Your Company Need CFO-Level Support? In today’s improving economy, many Los Angeles and Southern California business owners and entrepreneurs are planning business growth strategies for the first time since before the recession. This is obviously a positive development and good news, both for these businesses and for our state’s economy — especially after the business and economic doldrums we’ve been in for so long. However, business growth presents its own set of challenges to owners and entrepreneurs. These include both cash flow and personnel challenges. For example, fast-growth companies often reach a size where their current financial staff is no longer equipped to manage the business’ finances. In this scenario, owners must decide if it’s time to retain CFO-level support, whether this is in the form of hiring a full-time CFO or an outsourced CFO services provider. § It will be difficult for internal employees and outside stakeholders to understand who the ultimate financial decision maker is. § Important financial decisions likely will not be made on a timely basis, leading to missed opportunities and perhaps financial penalties. § Vendor payments might be made late, resulting in late-payment interest and penalties and damaging vendor relationships. § The company’s big-picture operational and strategic goals will probably be neglected, which can damage its long-term health and viability. § Limited access to critical financial information by both internal employees and outside stakeholders. § A failure to obtain vital external services due to a lack of clear understanding of what the company’s specific needs are, leading to delayed decisions. § Delays in the operational execution and implementation of signed contracts. § A failure to link operational and strategic goals, making it difficult to discern what external products and services the company needs. By retaining CFO-level support when your company reaches a certain size, you will establish a main point of financial contact within your company for both internal employees and outside stakeholders, thus eliminating this huge uncertainty. Your CFO, whether a full-time staff member or an outsourced services provider, will have the clearest understanding of what external services your business needs, when you need them, and what services you can afford. Often, a CFO also serves in the role of a de facto COO — especially for companies that aren’t yet large enough to retain both of these C-level positions. In this role, the CFO can focus on all internal and external service needs for the business. Retaining CFO-level support when your company reaches a certain size can result in a number of benefits to your company. Perhaps the biggest is the fact that a central point of financial contact with a high-level executive is established for your company. Therefore, internal employees and outside stakeholders know who they need to speak with about important financial decisions. Also, delays in making important financial and operational decisions are minimized or eliminated altogether. If your company is not yet large enough to hire a full-time CFO, consider hiring an outsourced CFO services provider instead. Doing so will give you access to the financial expertise your company needs to manage growth without having to assume the cost of a six-figure salary and benefits package, which will probably be required to hire a full-time CFO. Using an outsourced CFO is an affordable and efficient way to gain high-level financial expertise that can help drive desired profitability, growth and shareholder value. Fast-growth companies often reach a size where their current financial staff is no longer equipped to manage the business’ finances. In this scenario, owners must decide if it’s time to retain CFO-level support, whether this is in the form of a full-time CFO or an outsourced CFO services provider. Hiring an outsourced CFO will give you access to the financial expertise your company needs to manage growth without having to assume the high fixed cost of filling an executive staff position.